Silverman held a master’s degree in human development (1957) from the University of Chicago and a PhD in anthropology from Columbia University (1963). 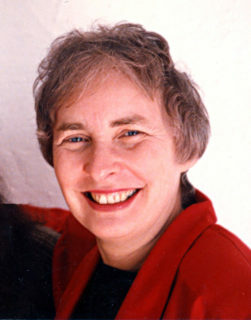 Her teaching career began at Queens College, City University of New York (CUNY), where she chaired the anthropology department from 1970 to 1973. And, from 1974 to 1986 she was the executive officer of the anthropology program at the CUNY Graduate Center. In 1987, Silverman moved to the Wenner-Gren Foundation for Anthropological Research, where she served as president from 1987 to 1999. The author of many articles, her first book, Three Bells for Civilization: The Life of an Italian Hill Town (1975), provided an ethnographic account of urban-rural relationships that challenged stereotypes of Italian rural society. Her next book, Totems and Teachers: Perspectives on Anthropology (1981), also challenged conventional thinking, in this case the standardized treatment of the history of anthropological theory as a series of concepts and names of notables divorced from the social and political contexts out of which they emerged. To throw light on the theory-making process, Silverman invited eight distinguished anthropologists to discuss the life and work of a major figure they had studied under, worked with, or otherwise known. Each lecture, held at the Graduate Center in 1976, was followed by a discussion. Attendance exceeded all expectations. The first lecture happened to coincide with the CUNY chancellor’s announced plan to eliminate “nonessential” disciplines, including anthropology. With Silverman as guide, anthropologists responded with a unified opposition nationwide and across institutional lines. On the day of the final lecture, the chancellor’s plan was laid to rest. In her third book, The Beast on the Table: Conferencing with Anthropologists (2002), Silverman revisits her experience with the Foundation’s International Symposium Program over the 13-year period when she was president, another of her creative intellectual projects. When she joined the Foundation, she saw that one important task would involve rebuilding the highly-regarded International Symposium Program to address the needs of the discipline. These week-long meetings (150 had been held between 1952 and 2000) had a large part in shaping the development of anthropology. In The Beast on the Table Silverman discusses the 25 conferences she attended as president with an eye to what these events had in common, how they spoke to the state of anthropology at the time, and what they had to tell us about the conference process itself. These questions led to a conference she organized at Cabo San Lucas, Mexico, in 1999, in which a number of symposium organizers were invited to reflect on their experience. Tracking this conference at close range, Silverman was engaged again in an ethnography of anthropologists that revealed some of the dynamics and social processes that fashion the development of ideas in a specific institutional setting. This is a serious loss to the profession. I know she was in her mid-eighties but lots of people live into their 90’s these days and I always thought she would be one of them.